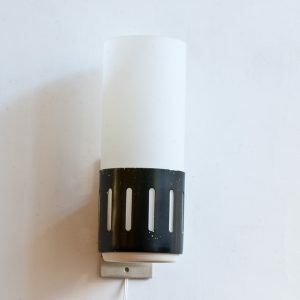 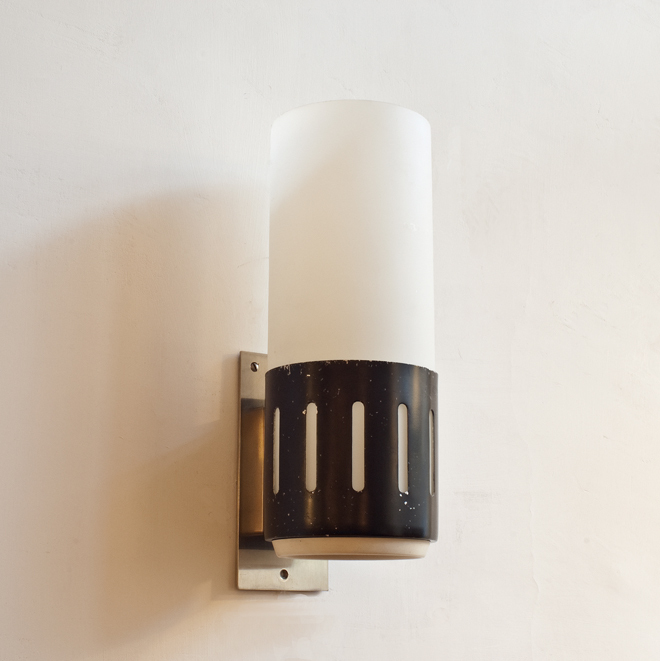 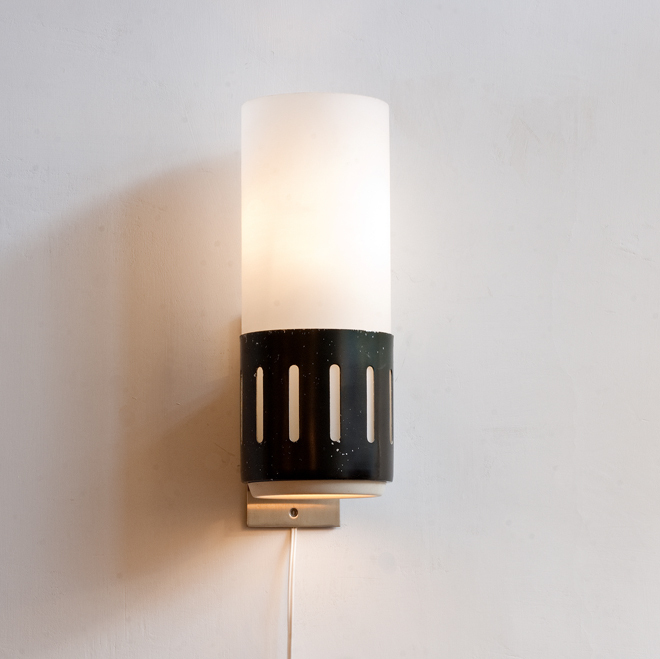 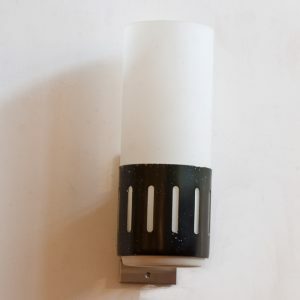 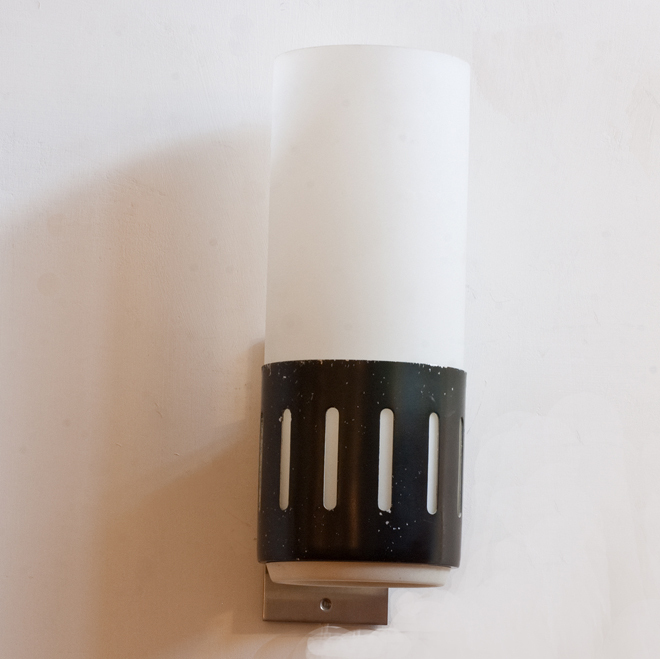 Wall light by Stilnovo with label, 1960. Up and downlight. Matt glass and black laquered Metal and Nickel.